Founder & CEO @CSuiteCoach. Proud MBlB, Pantene Brand Ambassador. Lifelong Vegetarian. Beauty Pageant Vet. "It's not enough to follow your dreams, we must chase them," is Teneshia Jackson Warner's personal life motto. After 5 years of working for IBM Global Services post college and in the midst of pursuing her MBA, Teneshia found herself following. She had a light bulb moment during an assessment in one of her classes and was forced to admit to herself that her decisions to date had been centered on earnings potential. "The driving factor of all my decisions was how much money can I earn. It was reactive. I was trying to design a life where I was not struggling, but it wasn't one that considered passion or purpose." She quickly decided to shift gears. She set out on a path of self-discovery to uncover her passions. During that time she read a Russell Simmons book called Life and Death that ignited something in her. "My heart was beating fast and my soul was getting moved and I was completely intrigued by Russell staying true to his calling... and his ability to build numerous business entities while doing so." 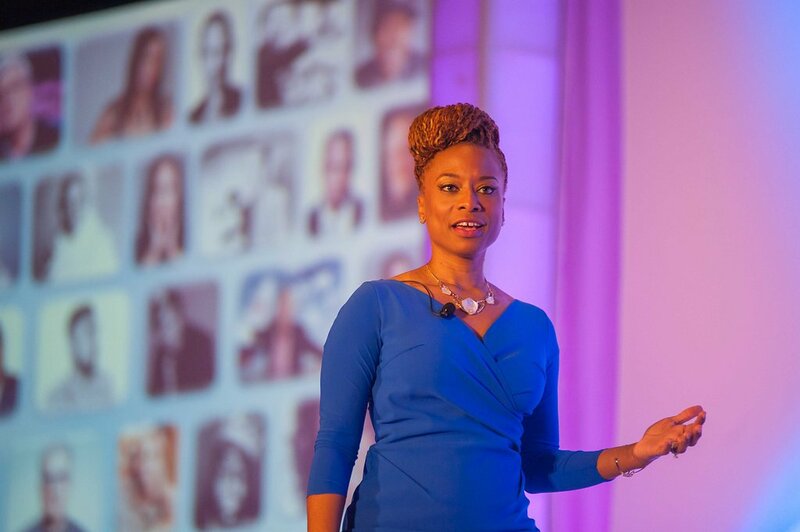 This gave Teneshia the courage to leave both her job and MBA program. She did so quietly, even keeping it secret from her family, "I purposely did not call anyone in my family and tell them I was doing it because I knew I couldn't hear the advice I would've received. Was I fearful before I walked into my manager's office? Yes! But the risk to remain in comfort was more painful than what it would take it leap and turn that resignation in." Later, she met the very man that inspired her and pitched her services to him, not once, but several times. Russell Simmons finally decided to take on her services for free. She started as an unpaid apprentice and her efforts eventually landed her a paying gig with the music mogul. 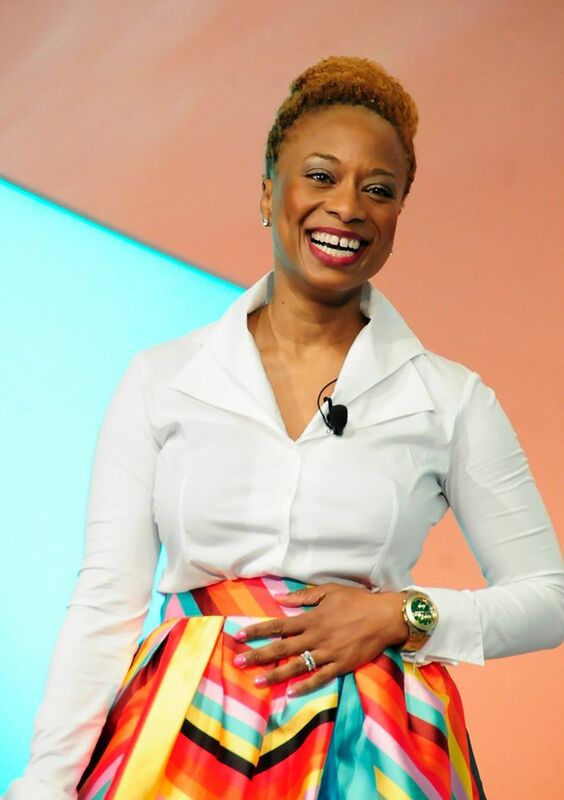 Now Teneshia is the CEO of EGAMI Group, a marketing firm with over 10 employees and an enviable client list, including P&G's My Black is Beautiful, Dasani and Verizon. An expert in cross-cultural marketing, she authored a book on purpose-driven marketing - Profit with Purpose, which seeks to empower brands to make a difference. Teneshia also created The Dream Project Symposium, an annual conference dedicated to empowering aspiring entrepreneurs, like she once was. In the process of making all this happen, Teneshia had reservations and fears, but she moved in spite of them. In her work with entrepreneurs, she encourages them to do the same, "If you know you are currently walking a path that you know isn't your purpose path and won't be fulfilling for you, you could end up living a life that's not fulfilling and doesn't have meaning." She reflects one of her favorite quotes by Anaïs Nin, "And the day came when the risk to remain tight in a bud was more painful than the risk it took to blossom," and says she was able to leap knowing "what was on the other side was much greater than the comfort zone." Whether you're an entrepreneur or a working professional, Teneshia suggests knowing how to move in the face of fear. "I think people need to develop a relationship with fear. You have to! It's there, it doesn't go anywhere," She laughs, "I don't want to say I'm friends with fear, but we have a relationship where I know when it comes into my body. I don't try to run from it. I give it its space to be fear but then I have to choose to move forward in the face of that fear." Teneshia notes fear is a constant in her life, but refuses to let it immobilize her. "I'm fearful a lot and it's always a sign that you're up to something big. If you're just moving around and you rarely feel a moment of fear, you are probably playing it too safe." Getting comfortable with fear comes down to positive self-talk. "When I bid for pieces for businesses, the fear is right there. 'Am I good enough? Am I ready? Are our capabilities strong enough?' When the "am I good enough" conversation is there, you have to program yourself to have another conversation to speak back to the voice of fear in your head." Her journey has not come without sacrifices. Teneshia reflects on some of the challenges specific to women professionals. "One of the biggest struggles for me has been trying to understand how to balance it all. As a woman, we wear so many different hats. For me its as a wife, a daughter, I'm very active in my niece's life, I'm very involved in taking care of my grandmother. There are so many demands on you, as well as the one to grow business, and with all that, my struggle has been how to do it all." Her new path is seeking alignment in life instead of balance. "What I've learned is to balance means everything is getting equal attention. Shift from trying to achieve balance and instead seek alignment. Align your decisions in life with what matters most in that particular season. There are seasons when family is first, and in reality something will have to give on the business end. Or there are seasons when business requires so much rigor, that maybe I can't see my niece as often as desired. I strive for alignment now, instead of balance." While Teneshia thinks certain characteristics like salesmanship, belief in yourself and your ideas, are key to success, she thinks anyone with the determination to build a business can make it happen. "If you have a great idea or your being called to something greater than yourself, you can do it, and if you can't do it alone, you can attract the people to you to help you it." Knowing your brand well also helps. "Everybody whether you're your own boss or your brand boss at work, needs to know - What is your brand? What do you stand for? Why are you here? How does it uniquely serve others? You have to be very clear on that before you can make someone else know you as that. You must know what is unique to your brand DNA first and don't leave it up to chance to let others your reputation." Teneshia's next The Dream Project Symposium is taking place in Atlanta, Georgia on April 21-22, and includes keynotes by Magic Johnson, Jennifer Fleiss, and others.